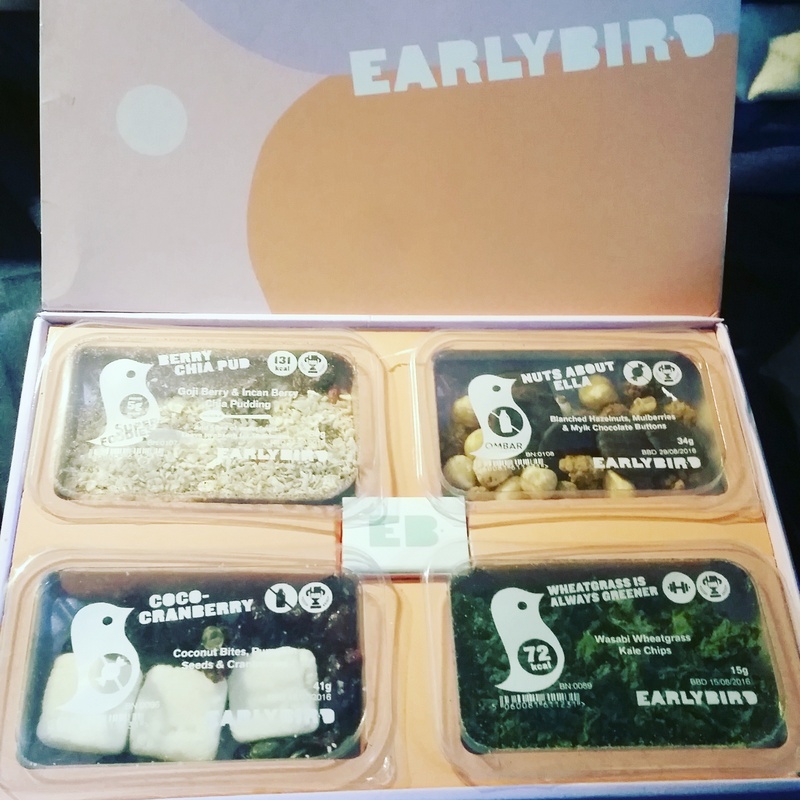 You might not have heard about Earlybird Snacks as they are a lot less known and have less promotion than companies like Graze. 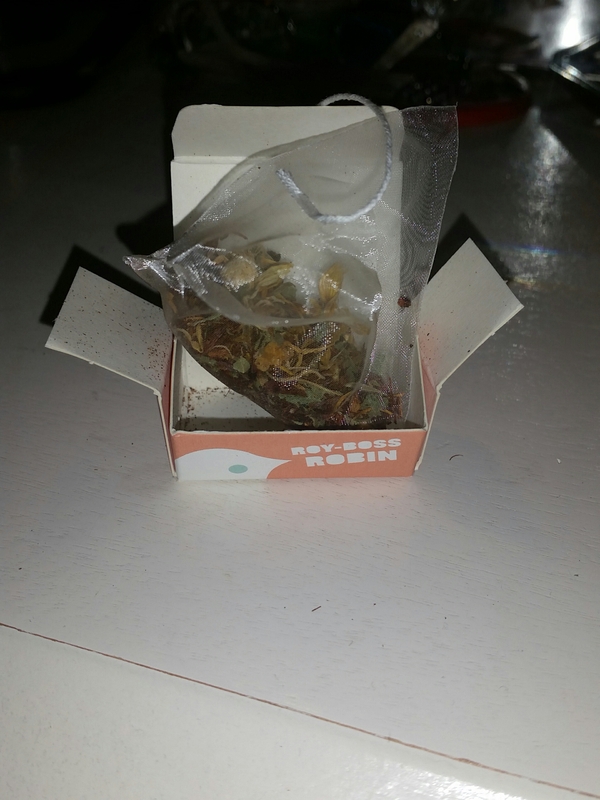 But the difference about Earlybird, other than that you get a fun flavoured tea bag as well as a variety of snacks, but is that it is a lot more health conscious and ingredient aware. It feels a lot more natural, good for the body and at providing snacking peace of mind than some other snack box companies. I was quite surprised when the box came wrapped in polyethylene as I thought that with the company being about promoting health, body and mind that they might care for the environment a little too. The box of goodies also had an outer sleeve on it that you had to slide off to get to the main box. Wel packaged but perhaps a little over the top and certainly not very environmentally friendly! It put receiving the box on a bit of a downer for me and my expectations were massively lowered. The products inside sounded really interesting and super tasty. They all sounded healthy, good for me and for a lot of people but I knew that it would only matter if they tasted good. 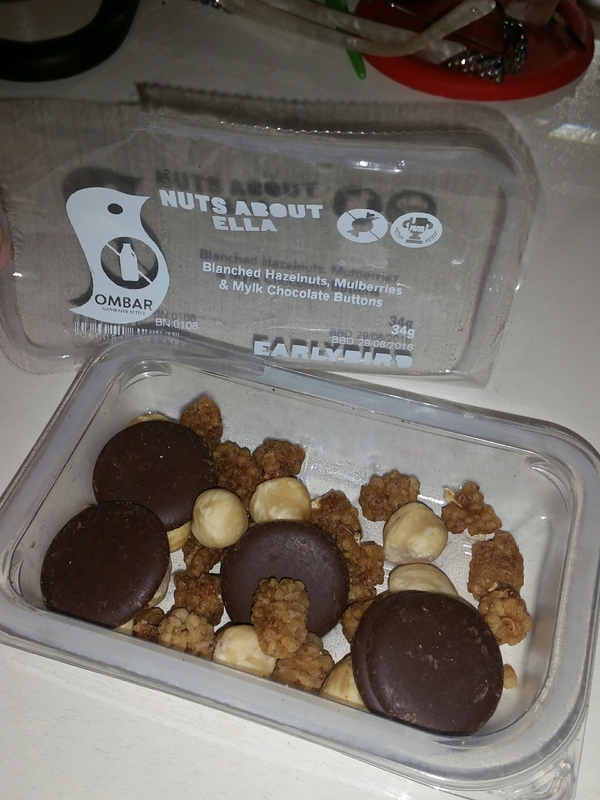 The first one I tried was Nuts About Ella, a play on the much loved hazelnut spread Nutella, with Ombar dark chocolate buttons, hazelnuts and mulberries. The inclusion of Ombar meant that the snack was daily free but still holding the potential to be super tasty. Each element on its own was nothing special. The hazelnuts were crunchy but not overly hard whilst the mulberries were sweet and the buttons were a melting delight. Everything you would expect but combined they became amazing. I did not get the taste of nutella when I combined them all but they certainly tasted good together with a mixture of sweet, bitter and woody. That combination really helped to make for a good variety of textures as well with none of it being too chewy or crunchy. This was a yummy snack specifically ans if somebody offered me this little box in the future I would not complain about it. One button to one hazelnut and two mulberries and you are in a moment of heaven. 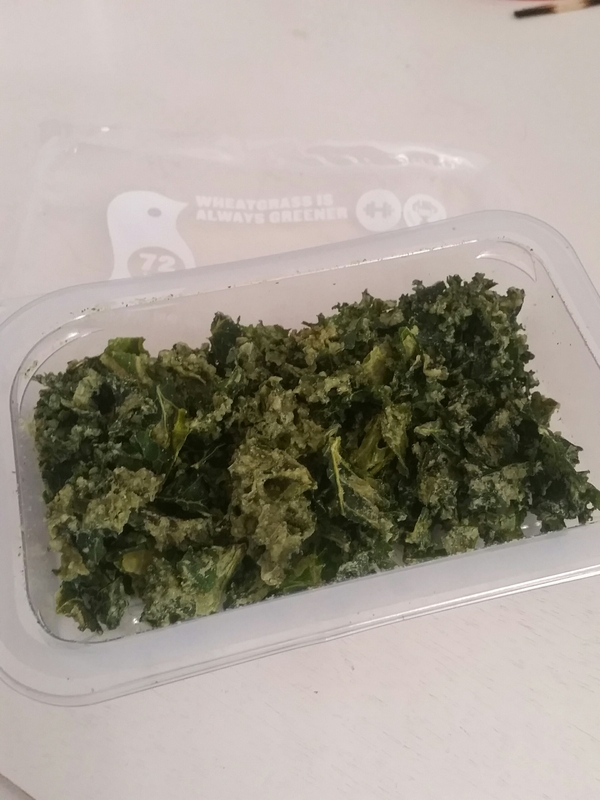 I had never tried kale chips before let alone wheatgrass and wasabi flavoured ones. I was unsure of what to expect and opening the packet did not help as the smell was quite a strong earthy and obviously shrivelled up green stuff does not look too appealing either. But on tasting it there was initially nothing noticable or distinctive. It was much more obvious as just being a crispy something which reminded me a bit of seaweed. The flavours really developed though and there was a little after kick from the wasabi but nothing to make your eyes stream or your cough tickle. They did not soften in the mouth too much either so they kept that crunch factor. I feel these would be better if the pieces were slightly larger as they were barely able to be picked up by hand but in their current messy form the verdict from me is certainly still out. However at 72kcal they are just about better than a packet of crisps. Just. When chia pudding is dry it looks perfectly fine and just like some sort of museli or granola but I guess appearances can be deceptive. I was looking forward to giving this a go whilst also being terrified and the look of it after the water had been mixed in made it all the worse. A sort of wet and therefore potentially sloppy pile of purple mush was never going to win me over and I ended up approaching it carefully. It was not just sloppy to the eye but in taste too and despite the odd crunchy bit in there it was truly horrible. I also am still trying to figure out what the flavours are meant to be. There is berry and possibly coconut in there but all I could pick up on was a sort of sawdust taste. I thought this sort of stuff must be lovely because people eat it for breakfast everyday but maybe they do it then before the tastebuds have woken up. 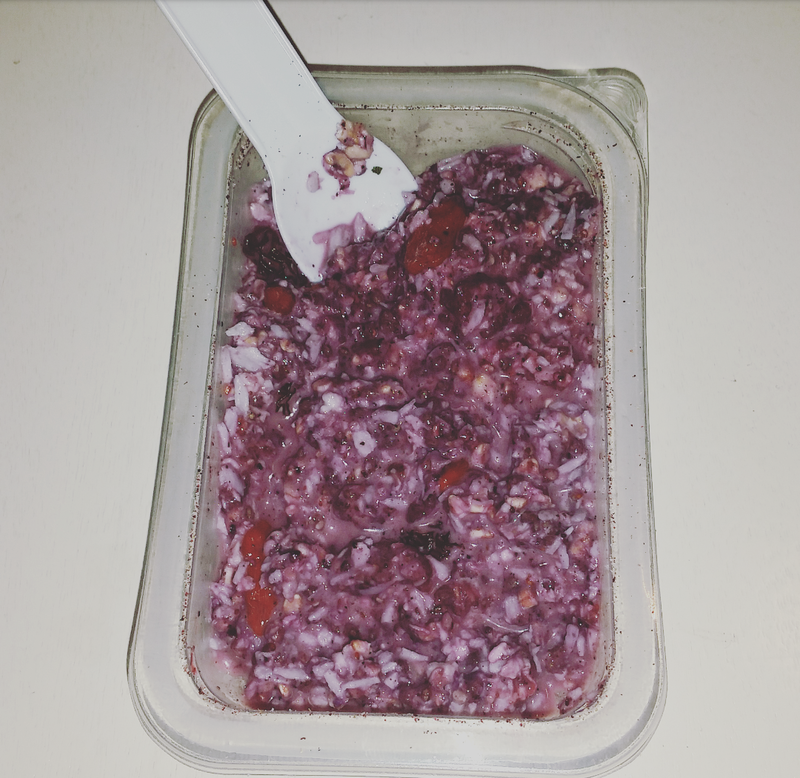 Regardless, I got this berry chia pud once and once is enough. Luckily I love coconut so ending up with something in my box with huge chunks of the stuff is great. But I know a lot of people that do not like coconut and there did not seem to be a preference for avoiding coconut so this could lead to a massive diasspointment for somebody. I did not feel like it was fresh coconut but rather dried coconut all compacted. It was so dry it made it really rather difficult to eat and was not at all joyful, even when combined with the other parts of the box, which is a massive let down. Also in the coco-cranberry box was dried cranberries and pumpkin seeds. I swear people put pumpkin seeds in things when they need to bulk something out and do not know how. Much in the same way as people know they need to add herbs or spices to a dish so just grab the mixed herbs and hope for the best. I am not a fan of seeds and especially not pumpkin seeds so this snack was really rather rubbish. The cranberries were an absolute delight though. Full of flavour, still able to give that little burst into your mouth despite being dried and not at all shrivelled up beyond recognition. If I could have had just a tub of those I would have been far happier. It also came with a flavoured teabag that I really feel was here nor there. I am pretty sure it was a ginger one but just tasted the same, and as unpleasing, as every other ginger tea I have ever tried. The Earlybird Snackbox is well on the way to being fantastic. 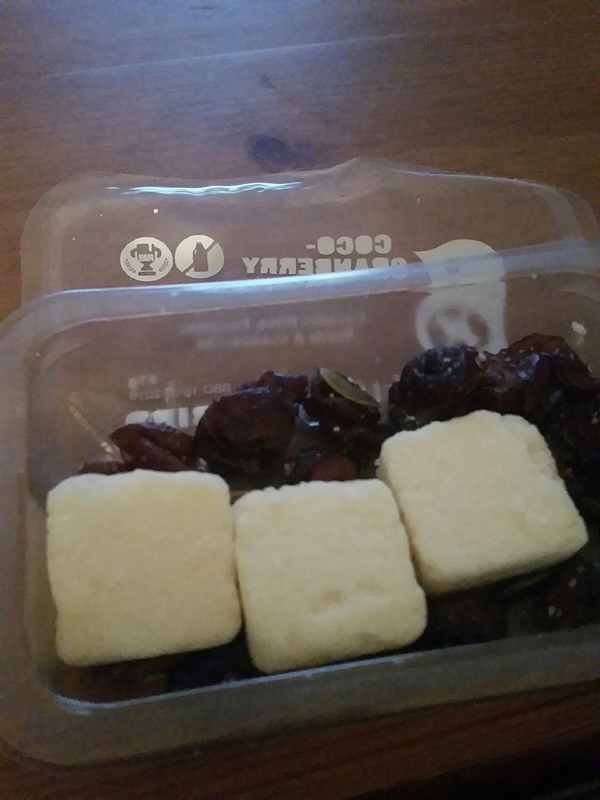 It has a great concept behind it and is one that I perfer the idea of over Graze but some of the things I ended up with in my box were really not to my taste but because I am not allergic to them I could not get rid of wanting them. If you like the sound of the things I have mentioned then this would be great for you and a real collection of healthy snacks. The usual cost of a box is £4.95, including p&p, and frequency of box delivery can be suited to your needs. To try them out and view their website look here. 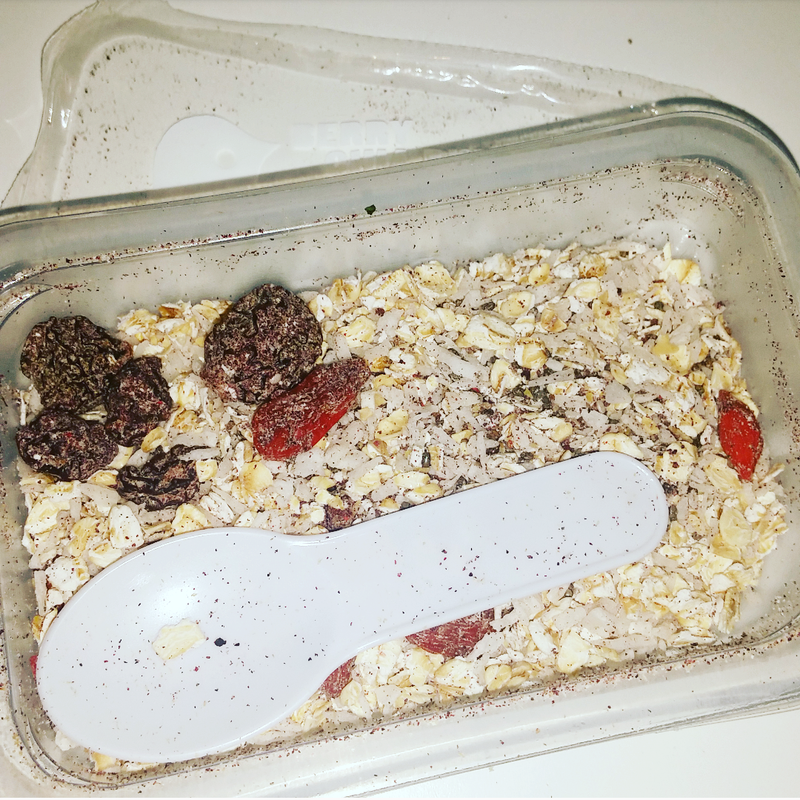 This entry was posted in Food and Drink, Product Reviews and tagged adaptable, allergys, berries, box, chia, chocolate, coconut, different, earlybird, earlybird snacks, Food and Drink, fruit, fun, healthy, interesting, nutella, nuts, ombar, seeds, snack, snacks, tasty, variety, yummy. Bookmark the permalink.